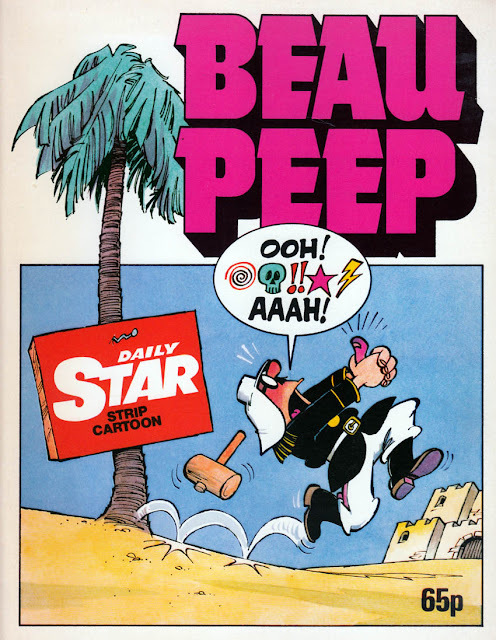 The Daily Star has made the decision to drop its longest-running comic strip, Beau Peep. It had been running in the newspaper since the first issue in 1978. 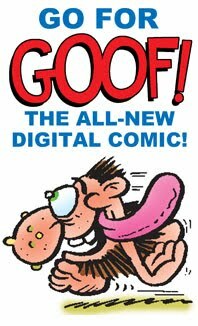 One of the most refreshingly funny comic strips of modern times, Beau Peep was the creation of writer Roger Kettle and artist Andrew Christine. Beau, a distinctly comical figure (real name Bert), joined the Foreign Legion to escape his brutish wife, Doris, but proved to be an incompetent soldier and a liability to his colleagues. 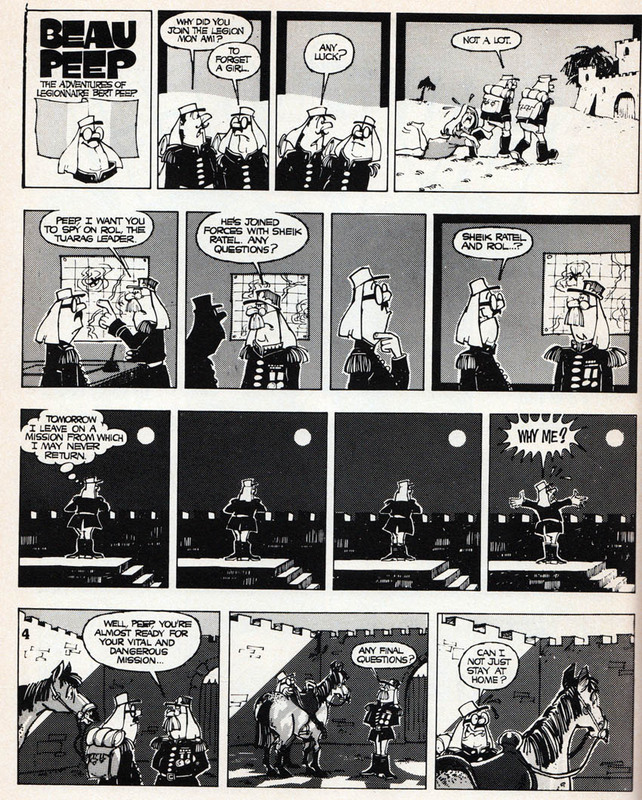 The strip became instantly popular amongst the Star's readers and 20 softback Beau Peep anthologies collecting the strips were published between 1980 and 1998. "About three weeks ago, Andrew and I were informed that Beau Peep would be cut from The Star. The news arrived just over a year after The Mirror dropped our Horace strip and the reasons given are exactly the same. The newspaper industry is in deep financial trouble and anything that isn't considered "essential" is being sacrificed. Rather than the editorial staff, the money men are behind all these decisions and, to be honest, I wasn't surprised when the letter arrived. I'd be lying if I said I wasn't sad---the strip has been the dominant factor in my life. I was 24 years old when I came up with the idea and 27 years old when it was first published. If you'd told me then that it would remain in print until I was a 65 year old pensioner, I'd never have believed you. I am HUGELY fortunate and HUGELY grateful for the career I've had. In total, my Horace and Beau Peep strips have lasted for 64 years and, when you throw in my 11 years of writing Andy Capp, I simply have no grounds for even the mildest of complaints. I must admit that I find my current situation extremely weird. 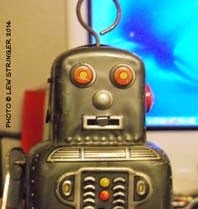 For a long, long time, my life has been consumed with thinking up daft ideas for daft, little cartoon characters. Overnight, this has come to an end and it's been more than a little difficult to adjust. As I think I've mentioned, I've been writing a book for some time so this will allow me to get my head down and finish the damn thing. I'd also (look away, Mince) like to write some stuff for football magazines. 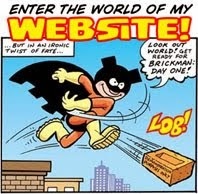 On top of that, me and Tarks will, hopefully, continue to produce material for an American website. I'm not sure of the exact date but I'm led to believe that Beau Peep will end at the beginning of December. Of course, something might happen and those daft, little cartoon characters may reappear somewhere else---but I doubt it. Thank you a million times for your support. I will miss that silly bugger." Personally, I think it's a mistake for the bean counters to consider comic strips unimportant. They add character and variety to a paper, and are more popular than they might think. Perhaps they should consider that during World War Two, when paper rationing reduced the Mirror to 8 pages, the editors considered the strips so important to morale that it still had one full page of new strips, plus Jane on another page, and a huge political cartoon on another. Admittedly we now live in an age of mass entertainment and many people seem more amused by sharing badly designed memes than reading strips, but I'm sure Beau Peep still had a large following. 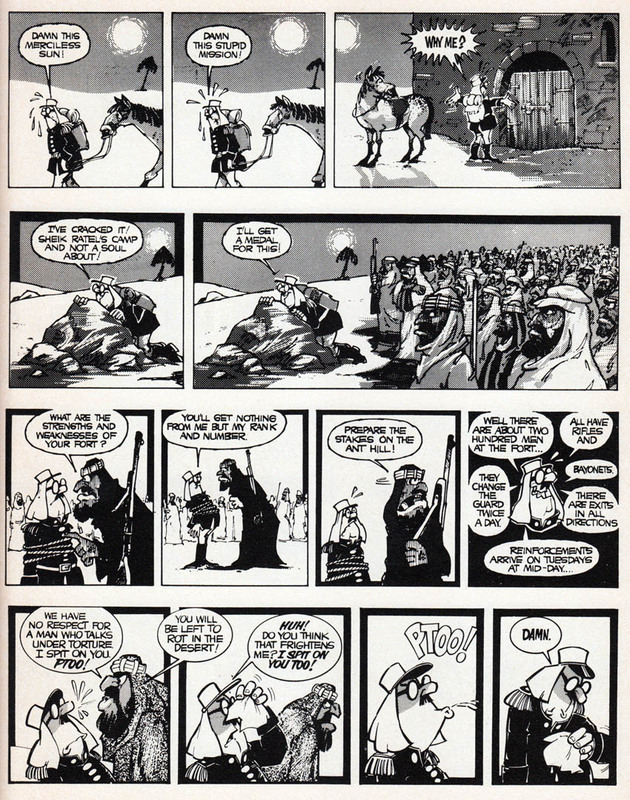 The strips shown above are the earliest in the series, from the first Beau Peep book, published in 1980, reprinting strips from 1978. My thanks to Rob Baker for bringing this to my attention. This is such a shame. 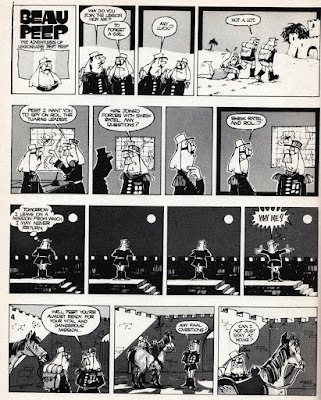 I was absolutely gutted when The Mirror dropped Horace - it was the only reason I bought the paper, so I stopped buying it as soon as the strip ended. 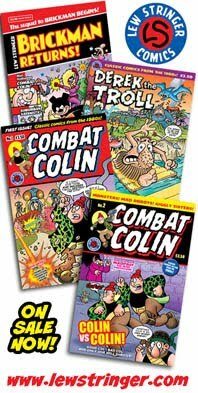 What a shame that original homegrown talent like this is being ditched in favour of cheap reprints and mass produced American strips. The end of an era indeed. Such sad news. Another newspaper strip disappears. 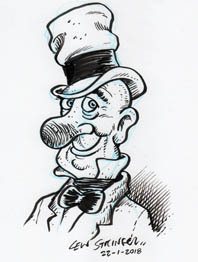 Newspapers should not overlook these visual comical delights...they should be giving comic artists more space not less. They should look at what artists in comics can do if they are given space...they really do break up a paper and a balance. Ah, this is terrible news. I've never bought the Daily Star, but I discovered the strip at one of the old London Comic Marts at the Westminster Central Hall on John Dakin's stand I think. I was instantly smitten and I bought the collections as they came out. My best wishes to Roger and Andrew for the future and hope that the strip will reappear somewhere someday. Agreed, and the characters also act as mascots for the papers, helping shape the identity of a publication. It helps readers think of their newspaper with affection. You've touch upon another subject there, Brad; the loss of the strip collections. There seem so few around now. Fred Bassett is still going, but the days of regular books for Andy Capp, Beau Peep, Perishers etc are long gone unfortunately. Problem is that cartoon straps aren't seen as adding value either to newspapers or magazines but are measured either on the basis of cost or as taking away space for news or editorial content. At some point someone will turn things around by looking at things differently but until then I think The Brooks and Oor Willie are going to be the last strips standing. The Weekly News deserves an honourable mention for continuing to run cartoons. People in charge of budgets never appreciate the true value of art. 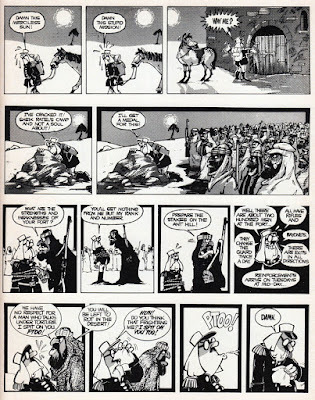 Makes me wonder what market, if any, there might be for an anthology comic produced in newspaper strip format. Imagine it: packed with of different serialized stories, each tasked with entertaining the reader with only a few panels a week. It sounds crazy but it just might work. Or maybe it just sounds crazy. Surprised that noone else has gone down the Aces route so far. Is the market potential really that limited? Steve Bell's "if..." in The Guardian still enjoys a healthy following, with anthologies, and I can't see the paper cutting it any time soon despite their current financial woes. Private Eye also run a number of strips in each issue. It may be a fortnightly, but the quality is good. 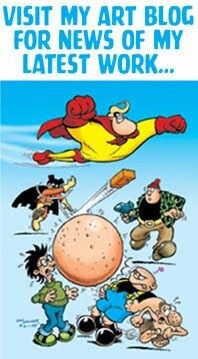 Given the Beano tie-in, how about a look back at "Dave Snooty and his Chums" at some point, Lew? I reckon the strip was dropped as its clever humour was waaaay over the average Daily Star readers head. 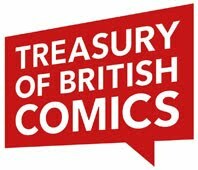 All joking aside (although it’s not that far off the mark imho) although I am not a fan of this "rag" it is a terrible shame for comics, especially one that is so genuinely funny day after day (I don’t read that paper but have loads of the annuals). Personally I think a some people use the comic strip as one of the reasons they buy a paper and whilst it may not be the most important part of it I think they have their place and by not supporting them over the years newspapers have added another (small) nail in their own coffins. - in saying that no matter what strip was in the Daily Mail I wouldn't pick that up). I would have thought they would use it on their website (I assume they have one) – Hopefully even a local or regional paper will pick it up (The Daily Record etc). 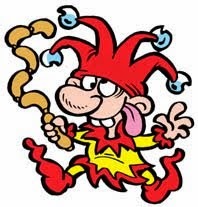 As a youngster my Auntie was a Daily Express reader and I'd peruse it for the sole purpose of reading Rupert the Bear and The Gambols and despite it being 28 years since my visits to the Auntie stopped they are still automatically the first things I think of in association with the Express. I notice also that the cartoon section has been cut from the Metro for a while, though that's more understandable, as granted it's more important to know which footballer has been sleeping with which model every day. Ron Turner's SPACE ACE returns again!